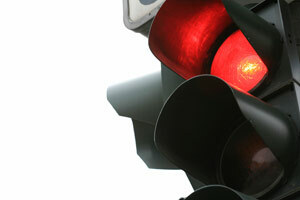 Drivers in Tulsa should be extra careful to stop at red lights around the city throughout the month of November. Tulsa police are cracking down on drivers who run red lights, and will be issuing tickets of $200 per violation–with no warning. Increased traffic enforcement will center on the city’s major commercial and retail corridors, including streets east of Sheridan Road as well as streets north of 101st Street to Interstate 244. Officers will be monitoring major intersections throughout this area. According to the Tulsa police, failure to obey traffic signals and red light violations are the leading cause of collisions at the city’s intersections. The police hope that the officers presence will reduce the frequency and severity of accidents. When a driver runs a red light, or fails to follow the rules of the road, they endanger the lives of everyone around them. If you or a loved one has been hurt in a motor vehicle collision by a negligent driver, the attorneys at The Edwards Law Firm can help. With more than 50 years of combined legal experience, we are committed to helping accident injury victims fight for the compensation you deserve. We are well-versed in auto accident claims and can help guide you through the entire litigation process. If you have been injured in a car accident contact the Tulsa car accident attorneys for a free consultation today.